More than two decades after Brian Adams attended Otero Junior College in Colorado, his name still appears in the Otero baseball record book. It still appears there nine times. 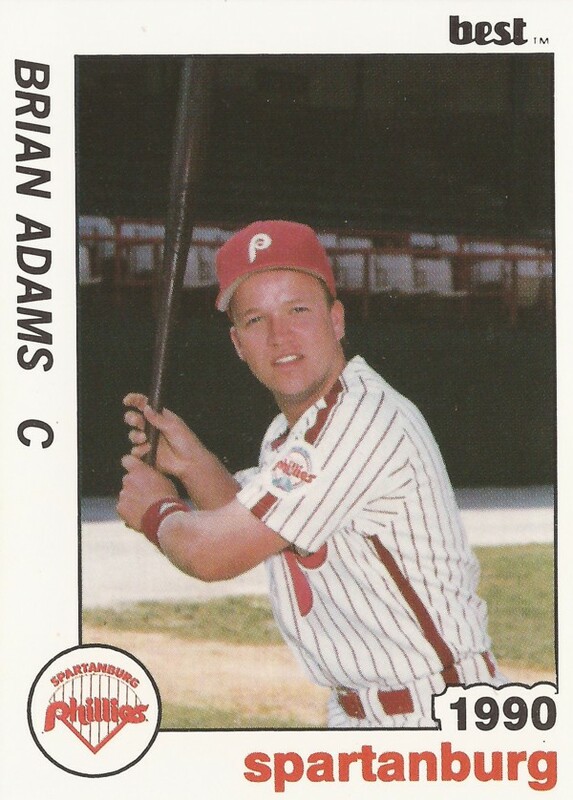 From that college career, Adams turned pro, taken by the Phillies in the 31st round of the 1989 draft. For Adams, though, it wasn't enough to get him a long professional career. His professional career lasted just two seasons, only getting him to high-A. At Otero, Adams played in 1988 and 1989, leading the team in at bats both years, now third and fourth all time for the school. He scored a still school-record 76 runs in 1989, banged out the two most prolific seasons in terms of hits in school history. He also still holds the school record for RBI by a wide margin, knocking in 101 in 1989. Only one other person has even knocked in more than 66. Adams ended up hitting .483 for Otero in 1989, the second-best average on record, and had a school-best .990 slugging percentage that year. That slugging percentage came as a result of 28 home runs, also still a school record. 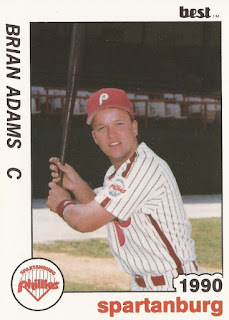 Out of that, Adams joined the Phillies, starting at rookie Martinsville. He played just four games there, then played 20 others up at single-A Spartanburg. Between them, he hit .228. For 1990, Adams split his time between Spartanburg and high-A Clearwater. At Spartanburg, he hit .220 over 40 games. At Clearwater, Adams hit just .179 in 23 games. In one June game with Clearwater Adams hit a two-run double to help Clearwater to a 6-1 win. Adams didn't have enough of those hits, though. By season's end, Adams' brief career also ended.